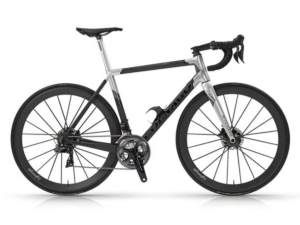 Colnago has always brought great innovations to the market, and is certainly among the first companies to believe in disc brakes for road bikes. In fact, it was in 2012 when the Colnago C59 Disc was presented with fully hydraulic brakes. It was a truly innovative project for that period, when none of the major manufacturers had considered discs for racing bikes. Following the presentation in the first half of 2018 of the new C64 and C64 Disc, now comes the disc version with fully internal routed hydraulic cabling. 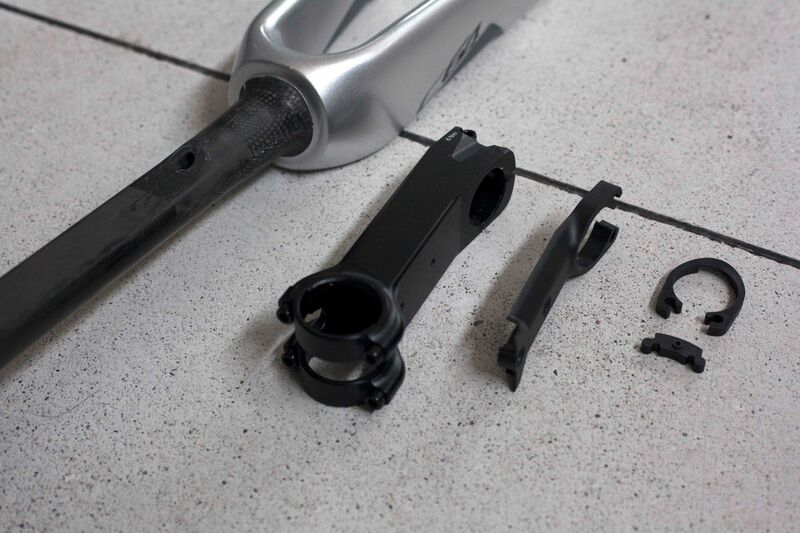 When used in conjunction with an electronic groupset, the overall aesthetic will be super clean and cable free. The shape of the fork steerer transitions from a circular to a “D” shape. 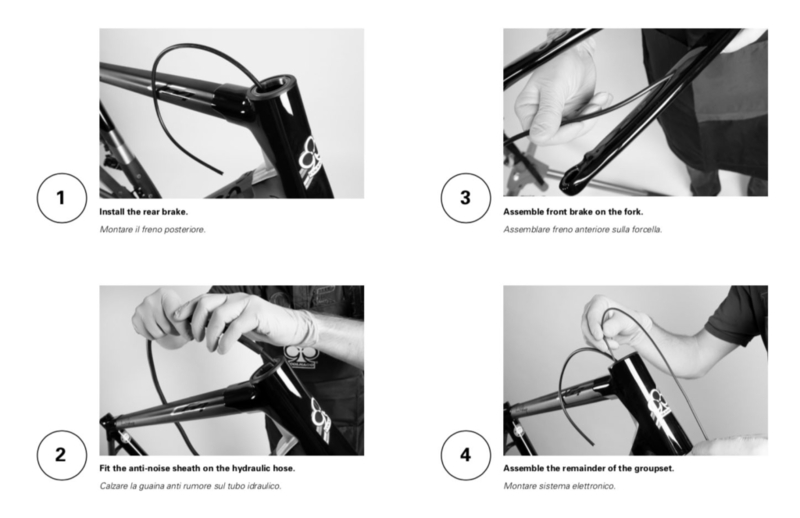 This allows the passage of hydraulic and electric cables through the head set and guided towards the handlebar hidden by a plastic plate on the lower part of the stem. The front brake cable is guided inside the fork steerer and then comes out near the caliper on the blade. 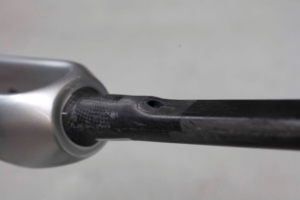 Once the rear hydraulic brake hose and the electrical wire are routed inside the headtube through the headset, are fee to continue through the down tube to reach the caliper, battery and derailleurs. 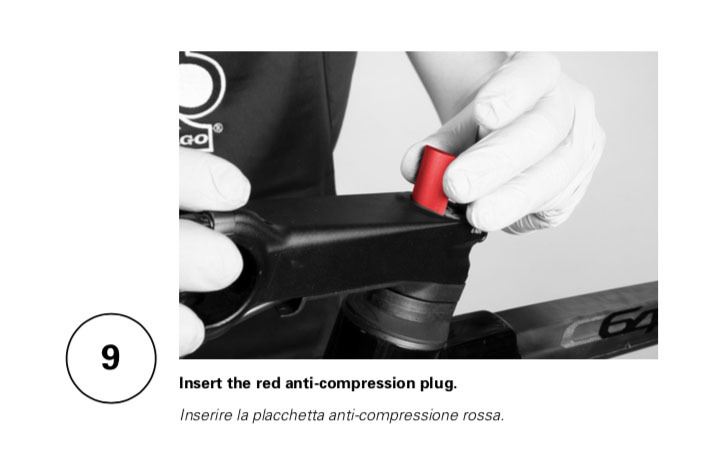 A small aluminum adapter (in red) is supplied for better distribution on the clamping force of the stem on the fork steerer. The fork is made with a particularly reinforced structure and incorporates inside a small threaded aluminum tube that replaces the traditional expander. All the new C64 Disc frame will be equipped with a specific aluminum stem. Please reach out to us for more information or to get a personalised quote. Cicli Corsa is an official Colnago dealer specializing in international online sales. Our office is located in Bergamo, a few kilometers from the Colnago headquarters in Cambiago.